The Beagle Airedale was doomed to fail from its very inception and remains a gloomy reminder of the beginning of the end for the British aviation industry. 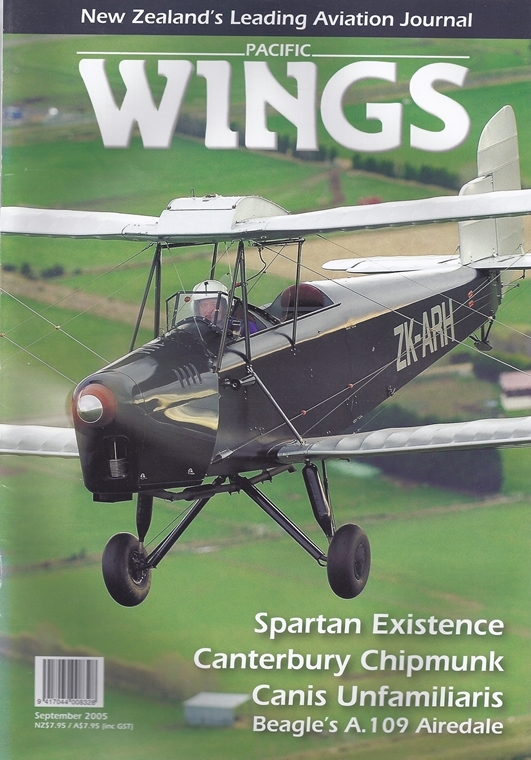 Despite the type's near extinction, several aircraft still exist worldwide and, as Andy Heap found out recently when he flew New Zealand's sole example, it is a wonderful aircraft in its own right. New Zealand's skies are home to more rare and interesting aircraft per head of population than anywhere on Earth. The latest addition to the living museum of flight that is New Zealand is the sole surviving Spartan Three-Seater II belonging to Te Anau helicopter pilot, Rod Hall Jones. Pacific Wings' Rob Neil caught up with Rod and his immaculate Spartan in Dunedin during the aircraft's post-restoration test flying. Canterbury Chipmunk, by Alex Mitchell.